Time for a CAS design don’t you think? Our Featured Stamper over at Splitcoast is westie2 otherwise known as Jackie. I chose to CASE a beautiful CAS card from Jackie’s gallery with a floral design. 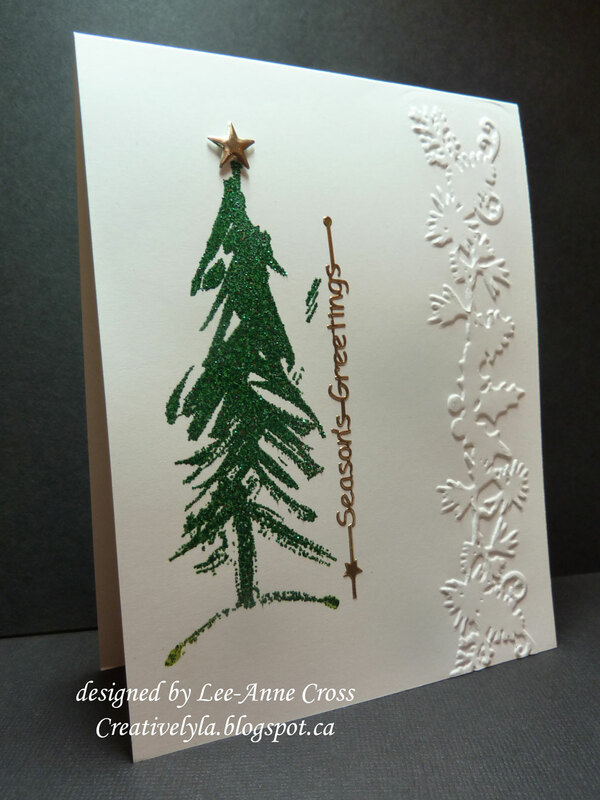 Changed it to a Christmas design and added some dry embossing along the edge. The tree is stamped and heat embossed with some very sparkly green tinsel embossing powder, but alas the picture just doesn’t do it justice. Then I added a star sticker, the sentiment sticker and finally dry embossed the edge. Simple right? Have fun stamping and creating in the coming week!